I composed the music for Humanhood’s Orbis. in the spring of 2017. This is my second collaboration with the company following ZERO which premiered in Birmingham 2016. Orbis is a 16 minute outdoor dance duet performed on a circular set accompanied by an original music composition presented in ambisonics, a surround sound format using 6 loudspeakers arranged around the performers and the audience. The music combines dense, organic textural sequences with complex polyrhythms created from found sounds, instrumental samples and electronic material. The multichannel sound design immerses the audience and the performers in a fluid and dynamic soundscape. 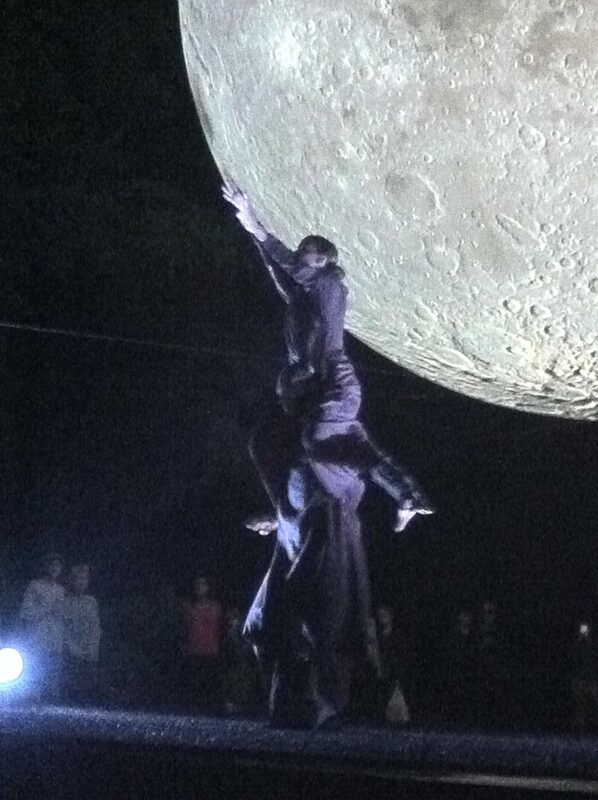 One inspiration for the piece was Luke Jerram’s Museum Of The Moon and Orbis was performed beneath Jerram’s moon at the Greenwich and Docklands International Festival in the gardens of Greenwich Observatory. The following music excerpts are a binaural mix best listened to on headphones to experience the spatial sound design. Orbis was commissioned by Without Walls Consortium, Brighton Festival, Norfolk & Norwich Festival, Déda and supported by DanceXchange and SaNau. Humanhood toured Orbis through 2017 at UK summer festivals including Brighton Festival, Norfolk & Norwich Festival, Greenwhich & Docklands International Festival London, Hat Fair Festival Winchester, Out There Great Yarmouth, Birmingham Weekender. The work was also performed internationally at Tercera Setmana Valencia and COS Tarragona.